Guillermo Del Toro is a very beloved director, but he hasn't quite transitioned into the award-winning, Oscar-worthy filmmaker yet. That could be changing later this year. His next movie, The Shape of Water, has just been given a very awards-friendly release date that seems to imply the studio thinks that this movie could be a contender this year. Additionally, the studio has released a full synopsis for the movie, which gives us a much better idea of what we can expect when the movie finally hits theaters this December. Fox Searchlight will be distributing The Shape of Water, which will be taking place in America during the Cold War. The last time Guillermo Del Toro directed a period drama was back when he made Pan's Labyrinth, and that remains one of his most beloved and critically acclaimed features. So that bodes well for his upcoming movie. Here is the official synopsis for The Shape of Water. "From master story teller Guillermo del Toro, comes The Shape of Water, an other-worldly fairy tale, set against the backdrop of Cold War era America circa 1963. In the hidden high-security government laboratory where she works, lonely Elisa (Sally Hawkins) is trapped in a life of silence and isolation. Elisa's life is changed forver when she and co-worker Zelda (Octavia Spencer) discover a secret classified experiment. Rounding out the cast are Michael Shannon, Richard Jenkins, Michael Stuhlbarg and Doug Jones." The synopsis gives a slightly better idea as to what we can expect from The Shape of Water, but there are still a lot of questions unanswered. As for the "classified experiment" that the synopsis references, we already know that experiment is going to be a "fish man" played by Doug Jones, who has collaborated with Guillermo Del Toro frequently in the past. He is also known for playing characters, such as Abe Sapien in Hellboy, who are plastered in prosthetics and makeup. Speaking with Collider recently, Doug Jones revealed a bit more about his character which, coupled with the new synopsis, helps paint a clearer picture. "I'm a fish man that's kind of a one-off. I'm an enigma, nobody knows where I came from; I'm the last of my species so I'm like a natural anomaly. And I'm being studied and tested in a U.S. government facility in 1963, so the Russian Cold War is on, the race for space is on, so there's all that backdrop and that undercurrent. I'm being tested for how can they use me for advantages in military or space travel, or my technology, can we make this usable for humans? So they're trying to keep me a secret from the Russians." 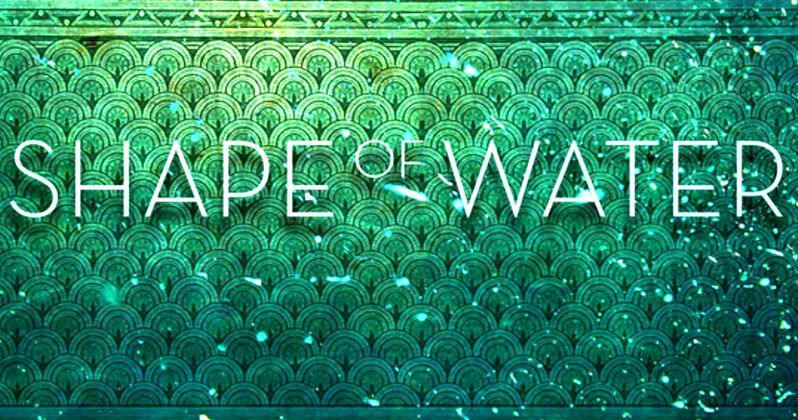 Fox has set The Shape of Water for a December 8, 2017, release date, which could put it right in the heart of the Academy Awards season conversation. When looking at the cast, which includes a couple of Oscar nominees in the form of Michael Shannon and Octavia Spencer, that lends even more credibility to the idea that The Shape of Water could be looking at some awards love later this year. We'll probably have a better idea of just how possible that is when the first trailer for The Shape of Water arrives.